SOUNDSORY® is safe, simple and efficient. It is also at the center of what we do. The Tomatis® Method serves over 200,000 individuals yearly worldwide. It offers children, adults, and seniors, one of the most innovative and advanced, neurosensory stimulation training to improve brain function. Supported by a wealth of studies, the Tomatis® Method is commonly used to improve motor skills as well as emotional and cognitive abilities. The training sessions are customized by a Certified Tomatis® Practitioner with a background in education, therapy or medicine, based on an individualized assessment of the client’s needs. 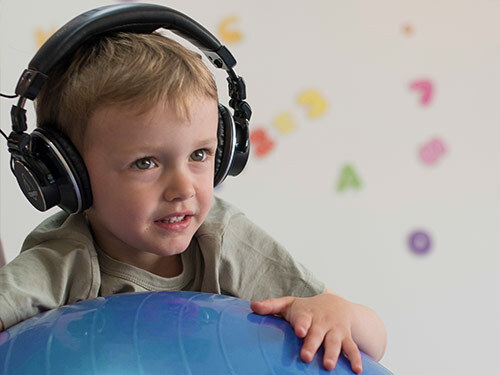 Children and adults can follow their daily listening sessions in the comfort of their home or in the provider’s office through a unique portable device called TalksUp®. If you have a chance to follow Tomatis® sessions we recommend using SOUNDSORY® after your sessions. Forbrain® is an award winning technology recommended by thousands of SLP’s and OT’s to improve attention, memory and language. 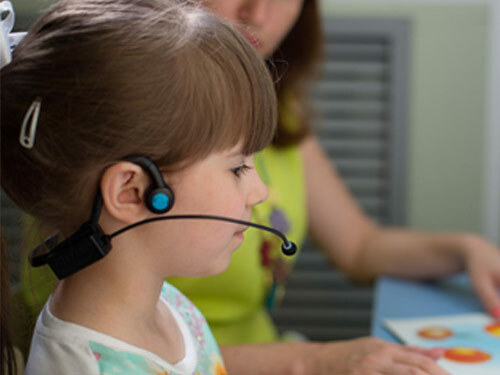 It is a headset that uses groundbreaking technologies to create an enhanced audio-vocal loop that enables users to improve their speech and attention. Auditory processing is improved using this natural process of auditory feedback. Forbrain can be used in complement to SOUNDSORY®.